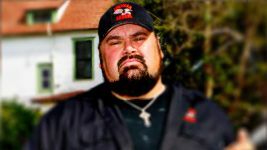 In a development that highlights the basic ethical grounding of many most archaeology hobbyists/metal detectorists/”diggers,” word has come out that Ric Savage, host of the program “American Digger” on Spike TV, has been let go from his gig writing a column for American Digger Magazine. We won’t lie, our dropping his association was in great part because of the controversy his TV show has created, and the confusion that American Digger Magazine had anything more than a passing association with the Spike TV series which shares our name. The “controversy” he references is summed up in this excellent post by Dr. Paul Mullins on the Society for Historical Archaeology blog. Mullins notes that both professional and avocational archaeologists reject commercial exploitation of archaeological sites and heritage in general. The comments to the publisher’s post by readers of the magazine bear that out. As I’ve written about before, the big problem with programs like this one is that they glamorize and encourage a private, profitized model of heritage. Professional archaeology is about using (largely) public funds to investigate questions about the past that the public deems worthy of asking, and disseminating (to one degree or another) the findings to the public. Shows like “American Digger” have consequences. In March, we were treated to the story of a Pennsylvania man who got a 366-day prison term for taking more than 9,000 artifacts from the Petersburg National Battlefield, a Civil War site in Pennsylvania Virginia. There’s no known connection between him and “American Digger,” but the program, through its search for “relics” that can be sold, redefines artifacts from objects of careful inquiry and tools of problem-solving, to vehicles for short-term profit and the property of private collectors. This isn’t archaeology, and that matters. It’s encouraging to see that part of the hobbyist community is willing to join the folks in the professional ranks who have objected to the program. Spike TV is continuing to give a bad name to anyone who is interested in protecting heritage, not for private enjoyment, but so people in the future can learn about the past. Minor point – Petersburg is in Virginia. Indeed, I had Pa on my mind. Thanks, corrected.